The brow and forehead often show the first signs of aging. The skin begins to lose its elasticity. Sun, wind, natural expressions and the pull of gravity all have an effect, resulting in frown lines, wrinkling across the forehead and an increasing heaviness of the eyebrows. 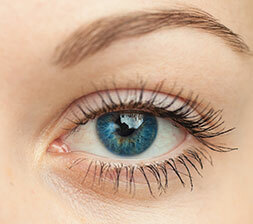 Your eyes may also look heavy and tired, as a sagging forehead can contribute to hooding in the upper eyelids. This tired, angry or sad expression may not reflect how you actually feel. As a result, many people opt for a brow lift, also known as a forehead lift. It is often performed in conjunction with an upper eyelid lift — a blepharoplasty — to reduce excess eyelid skin. In other cases, where patients have always had a low brow, it is possible to improve their appearance with other procedures, such as Botox and fillers. Mr Kamalarajah may also ask you to bring in photographs taken when you were younger, so that he can suggest the procedure or combination of procedures that will deliver the best and most natural results. The primary aim is to achieve a natural rejuvenation — a youthful position and contour of the eyebrows, without the appearance of having had surgery or the surprised look that can come when eyebrows are reset too high on the forehead. There are a number of techniques to lift a dropping brow. 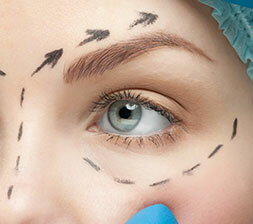 They include Botox, direct brow lift, temporal brow lift and trans-blepharoplasty brow lift. The number of options reveals the dilemma, the balance between effect, scar, cost, numb head, and recovery. The simplest technique is simply to switch off the muscles that pull the eyebrows downwards with botox. The resulting tone of the frontalis muscle that lifts the eyebrows upwards results in a subtle but effective brow lift. There is almost no risk, but the effect wears off and the botox needs to be repeated. A trans-blepharoplasty brow lift has appeal, is also elegant as you are already making the incisions for the blepharoplasty, but doesn’t lift the whole brow, and again the best result is with additional botox. The direct brow lift is very effective but with an unacceptable scar in most circumstances. There is a risk of a numb head behind the scar. My preferred technique is a temporal brow lift combined with upper eyelid blepharoplasty. 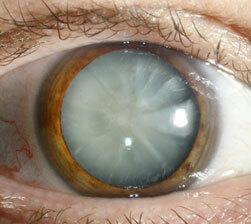 This results in a much less obvious scar and avoids damaging the nerves which supply the forehead. One answer is prevention. Brow descent is a result of years of pulling the forehead down with your frown muscles. Use of botox will delay this descent. As with all elective surgery, good health and realistic expectations are prerequisites for a successful outcome. You should prepare to be in hospital overnight if you are having a general anaesthetic, although many people have a brow lift as day patients and under local anaesthesia. For 48 hours after surgery, you will wear a tight bandage that helps to keep the forehead in its new position and minimises the accumulation of fluid or bruising around the incision sites — if this causes a headache, it can be loosened. After the bandage is removed, you can rinse your hair with plain water — do not use soap or shampoo that might get into the incisions for the first week. Bruising can move down your face in the first few days — this is normal and will soon fade. The most common complication is asymmetry, when one eyebrow is higher than the other — it can be corrected by a second surgical procedure. Some patients experience temporary hair loss along the incision line — hair regrows after three months. Some patients have a numb patch on top of their scalp/forehead — feeling can take six to nine months to return and 30 per cent of patients can still identify a small numb patch after a year.